1. All rules and guidelines must be accepted by the participants as a condition of participation in the Mighty Men of Mouse 2014 Attraction Draft. 2. The Attraction Draft shall consist of no more than 22 participants. All team names must incorporate the participant’s name/show/blog/internet shtick in some manner. Team names should be communicated to Dutch prior to the draft. 3. There is no prize offered for winning. 4. Dutch is the Commissioner. Should a dispute arise during the draft, Dutch will rule on the matter. His decision is final. He will not be a draft competitor. You may dispute an individual pick’s validity up until the next pick is made. After that, only Dutch may invalidate a pick. Premise: We are drafting to build two perfect theme park days for a family of four (4). The family consists of two (2) adults and two (2) children who meet the height requirements for all attractions and age requirement for any restaurant. Assume that the family will do all attractions together and will enjoy doing so. You will also be selecting their lodging and six (6) meals. The winner shall be determined by the Commissioner based on how effectively each participant drafts the most enjoyable day for the family. Draft Order: Attractions shall be drafted using with standard “snake” rules. The commencement date of the draft will be furnished upon finalization of the draft order. The order of selection shall be determined by Kentucky Derby Style draft slotting (Google it. It’s awesome.) with order of preference determined by who signed up for the draft first. Dutch will contact each competitor to get their preference. The Draft: The draft will occur via slow format. 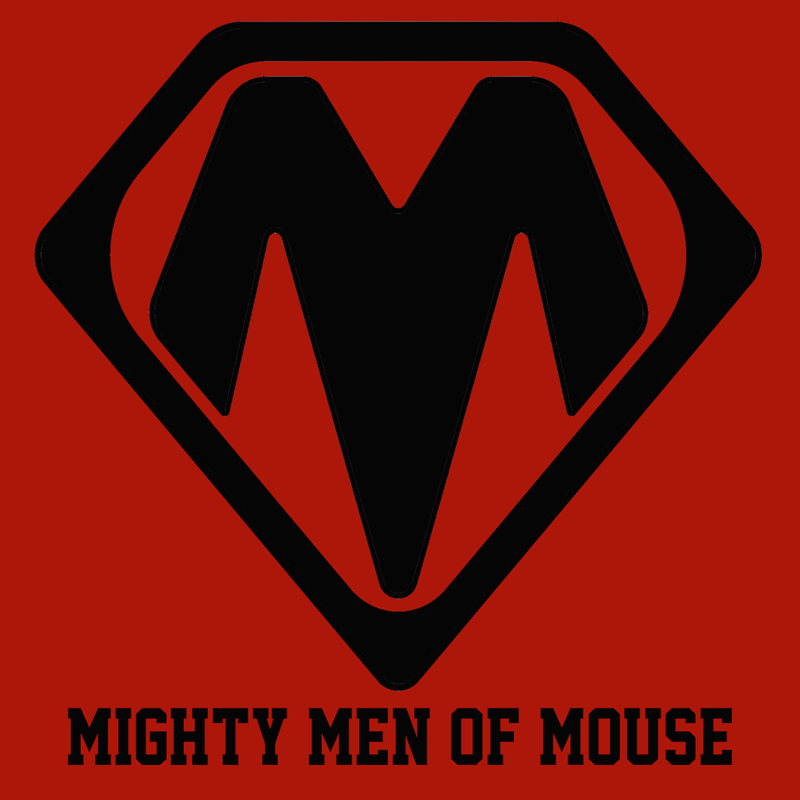 Each competitor will e-mail his draft pick to Dutch@MightyMenOfMouse.com. Dutch will then relay the pick to the entire league. Each competitor has twelve (12) hours to make their pick. If extra time is required, it shall be granted at the pleasure of the commissioner. Dutch will be very liberal in handing out requests for additional time. Rosters: You must draft seven (7) attractions/experiences/shows/spectaculars from within the four (4) Walt Disney World parks, one (1) hotel in Walt Disney World (DVC and Swan and Dolphin count, DTD hotels don’t), two (2) breakfasts, two (2) lunches and two (2) dinners. Failure to draft any one of the above will result in an illegal roster and disqualification from the competition. · All current and historical attractions and experiences within the four (4)Walt Disney World parks are eligible to be drafted. · Once an attraction is drafted by you, no other competitor may draft that attraction. · If a historical attraction is drafted, the attraction that replaced it is draftable ONLY if it is a different theme or concept. For instance: both Horizons and Mission Space may be drafted, but Star Tours can be drafted only once. · Experiences can be anything. Experiences can cost money. Things like the Shootin’ Arcade or Bibbi Bobbidi Boutique are eligible, but must be from inside the four (4) WDW parks. · Once any meal is drafted at a restaurant, that restaurant cannot be drafted by any other competitor. For example, if Russ selects Crystal Palace for breakfast, it is unavailable to all other competitors for lunch and dinner. · For the hotel you draft, you may select a room or class of room. Any description of said room is welcome and encouraged. · NEW RULE: If you are drafting a ride, you may specify at any point in the process if you plan on your family riding the attraction more than once. Questions prior to and during the draft are welcome. All questions can be emailed to dutch@mightymenofmouse.com. QUESTION 1: I assume we can draft seasonal items, such as HalloWishes, but can we draft HalloWishes even if someone has already drafted Wishes? QUESTION 2: Can I pick a pavilion/building? Example: I pick the Mexico pavilion, do I get the boat ride, restaurant, and La Cava? My suggestion/assumption would be that buildings/pavilions are off the table. DUTCH RULING: No. A competitor may NOT squat on an entire pavilion/building. Three Caballeros and La Cava are separate experiences. If there are two elements to the attraction that share a queue, the two shall be considered the same attraction (i.e. Maelstrom and Norway film; different stages of the old Backstage Tour). Any store or experience within a pavilion are draftable. QUESTION 3: If I pick something like Agent P's thing, is it just assumed that it gets slotted into my park wherever and I don't get all the pavilions with it? DUTCH RULING: Yes. Extinct attraction rules also apply to these experiences. Drafting of Agent P would foreclose the drafting of Kim-possible. QUESTION 4: For resorts, do we get the dining/bars with it or just the hotel? DUTCH RULING: If a hotel is drafted, the drafting competitor receives the rights to the whole grounds of the hotel EXCEPT the restaurants within and the bars that are attached/near to a restaurant. If a bar is not attached/near a restaurant AND does not have a distinct food menu, it is part of the hotel’s ground. A bar not attached/near a restaurant with its own menu is its own restaurant. The Dawa Bar is a distinct attraction within the Animal Kingdom. QUESTION 5: Restaurants, do characters come with them where applicable? DUTCH RULING: Yes. Note: if you select a restaurant for a meal, the presence of characters at the meal is dependent on the character’s availability during that meal at the restaurant. For instance, the Crystal Palace will have characters during all three meals of the day. If drafted, Tusker House may only have characters during breakfast and lunch. Competitors are encouraged to suggest ADR times for any restaurant drafted at the time they are drafted. QUESTION 6: If I, say, draft Saratoga Springs, does the golf course come with it? DUTCH RULING: No. Since any golf course would require a separate admission apart from the cost of lodging, it is not an amenity included with staying at the hotel. The pleasant views that would come with a golf course would, of course, be attached to that hotel. The same logic would apply to boat rentals or surrey bike rentals. As they are not part of the four (4) WDW parks, these types of experiences are not draftable. QUESTION 7: Can I draft a concert series, such as Eat to the Beat, to have Rick Springfield and Wilson Phillips just play all day? DUTCH RULING: An individual concert or concert series may be drafted. Once an individual concert or concert series has been drafted all concerts of any type at that venue are not eligible for drafting going forward. QUESTION 8: How far out does the sphere go surrounding a hotel? Does it included the immediate area or is anything past the walls view only like a holodeck? For example, the Beach Club. Does it include Crescent Lake? The walkway around the lake? Does it include the pier and lighthouse or is that Yacht Club's? Also, who gets Stormalong Bay? Another example, the Poly. Does it include 7 Seas lagoon? Is there such thing as a theme park view there? DUTCH RULING: The promenade may be enjoyed by all of the Crescent Lake hotels. The lighthouse is shared by Yacht and Beach,as is Stormalong Bay. As in the views at Shades of Green, the views of the 7 Seas Lagoon or any body of water are included with any hotel that has said view. In no way, does this allow you to piggy back a hotel/restaurant view onto a theme park attraction/experience. For instance, you cannot draft an outdoor table at Rose and Crown with a 8:45pm ADR to get credit for Illuminations. The hashtag for the draft is #mmomdraft. We won’t be tweeting every pick, but we’ll be throwing some stuff out there. Feel free to do whatever makes you happy. This week we answer a question from Scott about how we would craft the perfect Disney Day.....with an absurd caveat. The Listener Interaction Satchel is bursting with thoughts on horcruxes, which podcast audience we wish we had, the worst hard ticket party we could imagine, Tim Brooks' article on Moderate DVCs, what Derek Burgan would go back to WDW for one last time, which attractions would we want to bring back, Russ' bottom 3 princesses, and "fun" Halloween costumes. Episode 176 -- Do you believe in Epcot?